If you’re like me and always have more than 20 browser tabs open at any given time, you’ll want to check out HoverCards for Chrome. This handy little extension lets you preview content from Twitter, Reddit, YouTube, SoundCloud, Imgur and Instagram just by moving your mouse over a link. Hover over a YouTube link a friend sent you, and you’ll see its title and stats without having to click on it. You can also view thumbnails from Instagram and Imgur links the same way. That’s not all: if you click on a HoverCards preview, it’ll open the linked content in a sidebar and display comments from networks that it’s posted on. For example, if you come across a YouTube URL and click the preview, you can read the comments it received on the video page as well as from the Reddit posts that link to it. 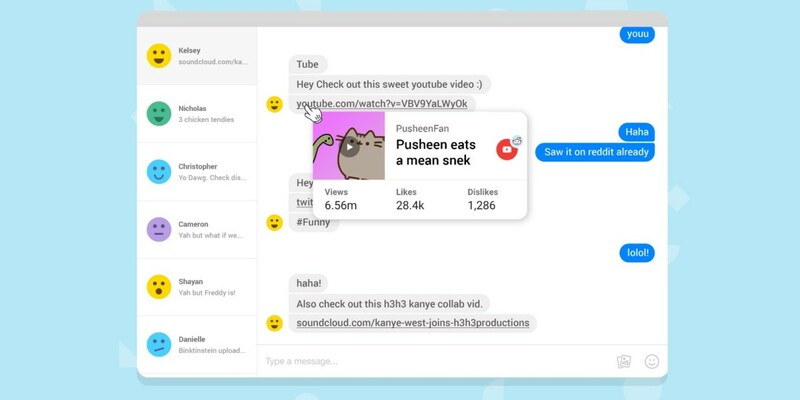 HoverCards is great for people who frequently share links with their contacts on messaging apps and helps save time and RAM while you browse. My only gripe is that it doesn’t work with Hangouts’ new Web app.